Hell on Heels is fun for all!. 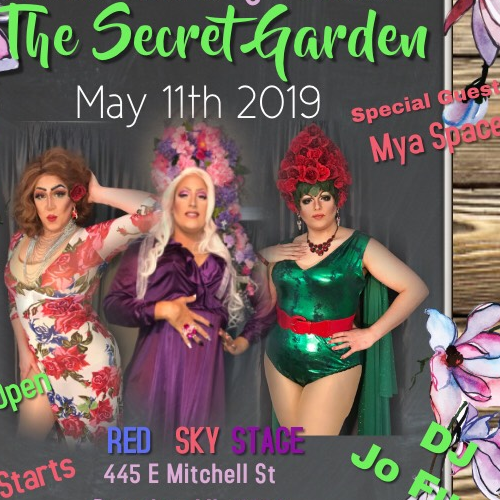 This month's theme of this lip syncing, dancing, and singing adventure is The Secret Garden, featuring special guest Mya Space. Hell on Heels is one pf the most popular Red Sky Stage events. It is guaranteed to be filled with loads of comedy and just the right amount of crassness. Drag Queens have been a part of our culture for decades. Let us show you why!